Una Vida Para Cristo: Hot, Dry and. . .Purple?! Hot, Dry and. . .Purple?! This photo is typical, too many power lines to get a great photo! And the photo doesn't do the color justice! 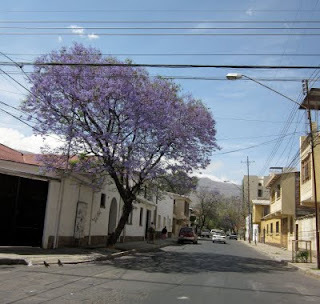 September here in the highlands of Bolivia is technically Spring but to us it's SUMMER! The temperature is hot, the air is dry and things are blooming! For this Northwest US girl it's hard to believe that things can grow in this weather. There's no moisture in the air: rain, snow, nada. The trees are blooming and, to my delight, many of them are a vibrant purple! In June we purchased a painting to adorn the wall in our living room. The house in the painting is a typical Bolivian home, mountains in the background like the valley we live in and a large purple tree. 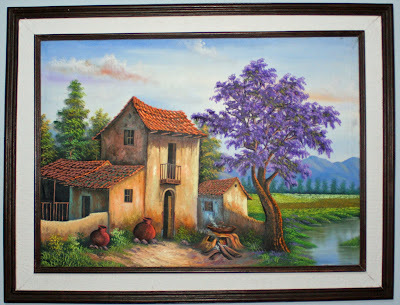 When we bought the painting I thought it was strange to have such a purple tree but the painting was beautiful. Now we know! 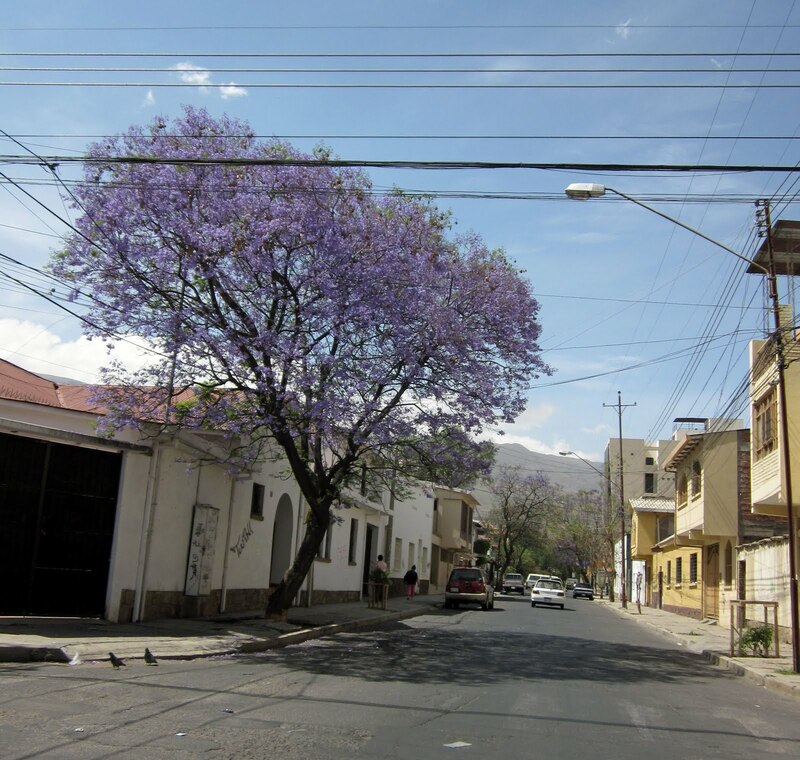 September in Cochabamba is purple! We'll post of pic of a real tree when we get one but sadly none grow anywhere near our home (they just fill the city and we're outside city limits!). :) Update: Nathan took pictures! 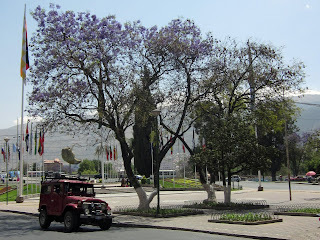 For Nathan: A purple tree and a Land Cruiser!